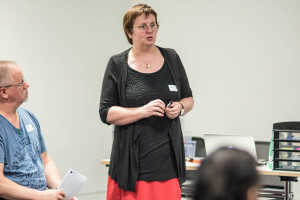 With over 30 years of experience across multiple industries, Martine has a fantastic ability to break down a plethora of experience of Agile process and development to create a holistic landscape for learning. Join Martine and Agile coast and developer Abid Quersthi at this hand-on workshop for an evening of experiential learning. Attendees will have the opportunity to see the application of different agile techniques in micro-environments.